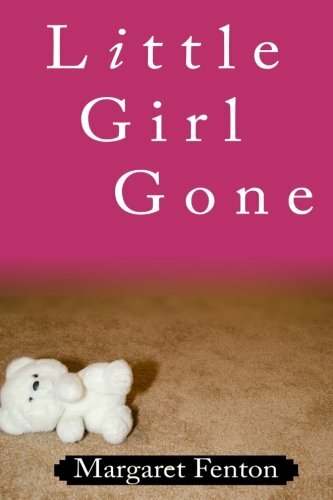 “Little Girl Gone” is Margaret Fenton’s second book, which once again finds Claire Conover, a social worker for the county, trying to juggle her already overloaded schedule, when a body of an unidentified woman is found on a luxurious golf course. Not only is there the body, but officials also found a 13 year-old sleeping in a box who won’t divulge any information about herself or what she is doing there. Claire places the child in emergency foster care until her court date the next day; however, the girl disappears before she gets to court. Interestingly enough, it appears that the child has several shady connections on the outside and no one is willing to provide any pertinent information. As the case heats up, we find the girl’s dad out of prison trying to locate her, and learn the mother appears to be caught up in some shady dealings of her own, which brought on her death. The police have limited resources to help in the investigation, so Claire reluctantly turns to an investigative reporter who just happens to be in love with her. The author does an incredible job of describing the workings of the child welfare system and some of the frustrations a social worker encounters on a daily basis. Her knowledge of the entanglements with other agencies aptly describes how each one has their own agenda. Her characters have depth and are down-to-earth individuals one might meet in social settings, or through friends you would like to know better. Fenton provides just enough information in the story line to keep readers engrossed in the plot and investigation. The language is easy to read and understand without utilizing words one would not use on a daily basis. For a great read that you won’t be able to put down, with suspense that will keep you guessing, “Little Girl Gone” by Margaret Fenton is the one for you.